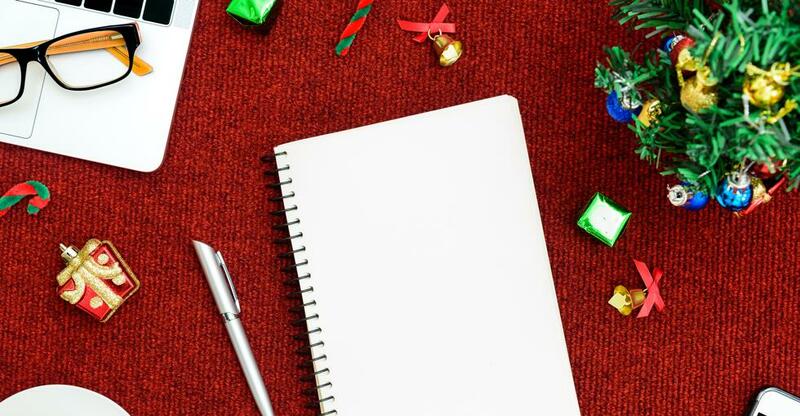 ‘Tis the season for giving — and if you’re considering giving yourself a meaningful gift this year, a new career or business opportunity may just be at the top of your list. It’s certainly common at this time of year to begin thinking about new opportunities, including career changes. If buying a business is a life change you’ve been considering, there’s never been a better time in terms of options and opportunities. And if starting your own business appeals to you, you’re definitely not alone. Statistics show that well over 50 percent of Americans are interested in becoming their own boss. 1. Are you in a place in your life where you can run your own business? First and foremost, if you’ve never run your own business before, it’s important to consider the impact doing so will have on your personal life — and it will have an impact. Getting your business up and running requires time and effort, so you’ll want to make sure that you have the support system in place while your new business is so demanding of your time. For most of us, buying a new business means keeping an existing job, at least initially, so it’s important to be realistic in terms of how much you can take on. 2. Do you have the right temperament to run your own business? If you’ve never run your own business, it’s important to consider that you’ll need to be self-motivated and organized, among many other things. In addition to managing yourself and the business, you may also need to manage other employees as well. This can be daunting if you’ve never done so in the past. Before you sign on the dotted line for any business, talk with friends or acquaintances that have bought a business. Ask them about some of the unexpected challenges they encountered and how they dealt with them. These personal resources can be invaluable. 3. How will you finance your new business purchase? For most of us, simply paying cash for a new business isn’t an option. It’s important to think about the options that are available and which ones make the most sense to you when it comes to financing your new venture. Will you leverage your 401(k) and repay yourself? Will you get a bank loan? Will you look into equity financing, wherein you agree to sell stock or shares of your business to outside investors? Some combination of these? Some of those who are considering purchasing a business have very specific ideas of the industries they are interested in. But if you’re still in shopping mode, here is a short list of the top businesses to consider buying yourself this Christmas. While the storage business may not seem glamorous, it is one of the most legitimate new business opportunities every would-be business owner should consider. That’s due in large part to its sustainability. Generally speaking, people will always have a need to store things. Whether it’s due to a need to minimize, reduce clutter, or a resistance to part with possessions, the need for storage isn’t likely to soon disappear. Furthermore, with more and more professionals — particularly millennials — moving from state to state for job opportunities, they need a home base to store personal belongings. With these lifestyle trends in mind, the self-storage business is definitely one you’ll want to consider adding to your Christmas wish list. Whether you opt to buy a franchise or a privately-owned gym, there is plenty of opportunity in the exercise business. The fitness and health trend that has swept the nation for decades doesn’t seem to be waning. Americans are increasingly concerned with maintaining active, healthy lifestyles and the number of fitness businesses available to serve them are certainly keeping pace. Additionally, if you’re looking to franchise, this business offers some of the lowest costs of entry, with some fitness franchises starting in the $5000 range. If you’re looking to buy a profitable and popular business, there’s never been a better time to jump on the health food bandwagon. First and foremost, the food business, in general, is a “sure thing” in terms of sustainability. With food consumers being more health and nutrition conscious than ever before, this can mean major profits for health food retailers and restaurants. In fact, the speciality-food sales industry reached the $157 billion mark between 2014 and 2016. Whether you’re looking to buy a retail food store or a restaurant, it’s hard to go wrong in the specialty health food business. Just be sure the location’s demographics will support the business. Whether it’s hair, nails, or skin services, people will always find the money to pamper themselves. That’s why salons made our list of best businesses to gift yourself this Christmas. Salons in the United States earned a collective $62 billion in 2016. There are both independent and franchise salons available and each comes with its own advantages. For example, salon franchises, such as Great Clips, carry the benefit of built-in marketing services, while independently owned salons will require dedicated marketing dollars. However, if you buy an established salon, you’ll often reap the benefits of an established clientele. When it comes to salons, it’s all about reputation, so make sure you do your research when considering different salons for sale. No matter what kind of business you’re considering gifting yourself this Christmas or in the new year, you can benefit from the expertise of an online business marketplace. BusinessesForSale.com offers the most up-to-date information on available businesses of all types. Check out our listings today, and gift yourself what you’ve been dreaming of this Holiday Season!